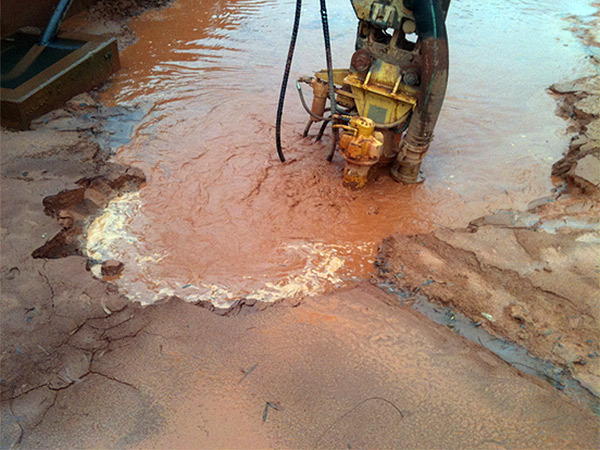 Sludge pumping is a fast, effective and environmentally sustainable tool to use in conjunction with water management, at mining and construction sites. 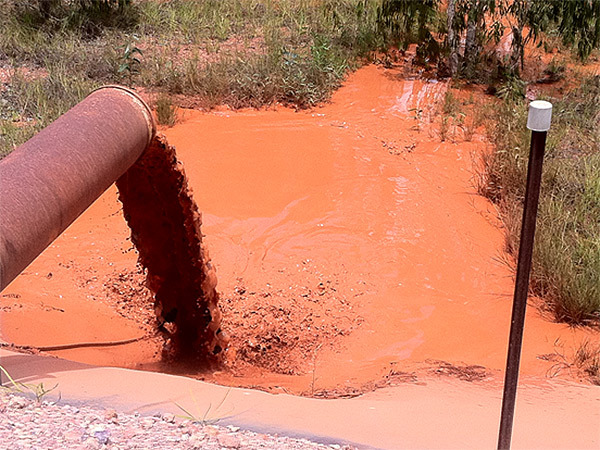 So, what is sludge? Essentially, it is the solid residuals remaining once dewatering has been completed. It needs to be removed from the site to allow work to continue, but cannot be pumped out using standard equipment. The team at NPE has the people and the products to deliver superior sludge pumping services, allowing you to return to productivity and profitability quicker than ‘standard’ dewatering services. 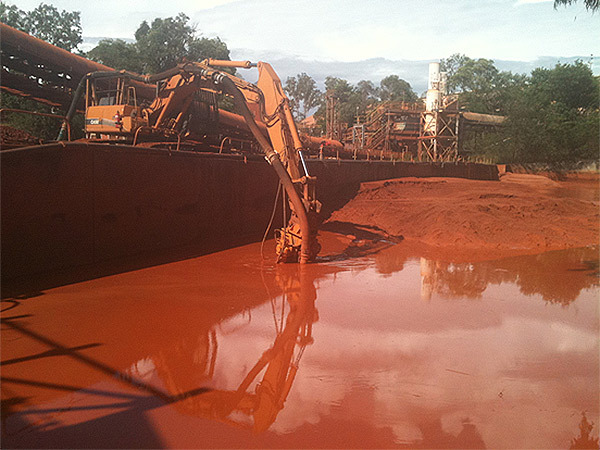 Case Study: Our team was engaged to remove sludge from an overflowing tailings pond at a process plant. 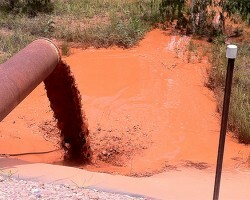 Normally, this type of pond would be dewatered first, with a truck and excavator combination required to clean it up and remove the sludge by road. NPE used its specialist pumping equipment, mounted to an excavator, to simultaneously empty the pond and remove the sludge. This was not only a faster solution, it also eliminated any environmental hazards surrounding the waste product being trucked out of the site for disposal. 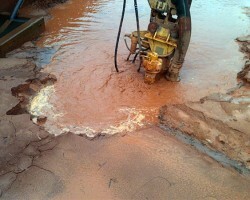 The job was completed quickly and sustainably, allowing the convenient repair of the site’s failed pumping system, prior to the onset of the wet season. Services provided include but are not limited to: site assessment and project management. In conjunction with this project, NPE provided specialist pumping equipment, including excavator mounted sludge pump and slurry booster pump, manning and operation.